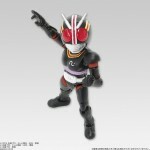 Despite the release of wave 4 still being a few months away, Bandai have officially unveiled the fifth wave of 66 Action Kamen Rider figures via their website. 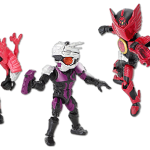 This wave of the popular candy toy line will include, Mashin Chaser (from Kamen Rider Drive), Kamen Rider OOO Tajador combo, Kamen Rider Ryuki and Kamen Rider Black. The wave will be hitting in March 2015, with the figures costing 380 yen each. Look forward to preorders soon! 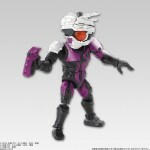 These little guys went up for preorder a while ago (due in December), but this is our first proper look at them. 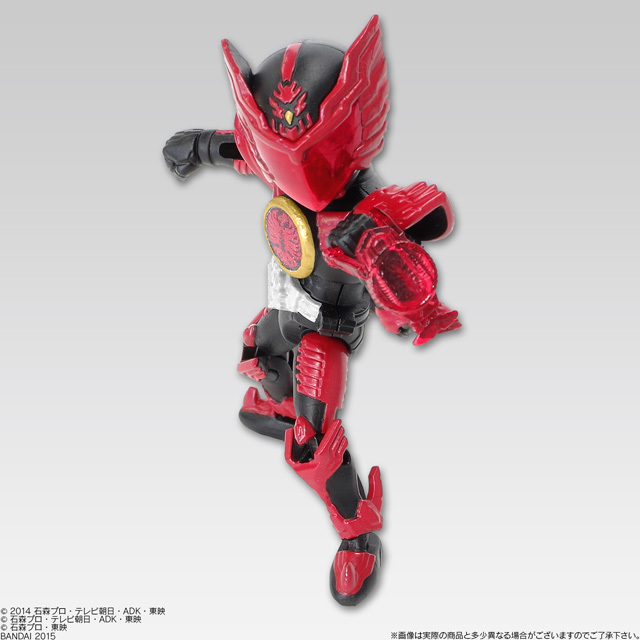 I need Faiz and Drive. Wonder what the secret could be though. This is the first wave so far where I want them all. I wonder what the variant will be, though? Wizard's other styles would require retooling, so maybe Drive with a different tire? I need Drive. Just so he can be geeking out or squealing when he sees my AC Gaim. "Gaim Sempai...notice me..."
.. Dat Kachidoki though. Yes. Awwww chibi Faiz is so cute. 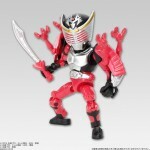 I want more Gaim riders! We've only gotten Gaim, Zangetsu, and forms thereof so far, where are the rest? HNNNNNNNNNNNNNGH FINALLY. I was wondering when we'd get Kachidoki.